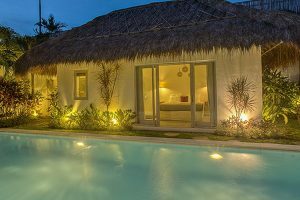 Traditional chalets, containing your accommodation are dotted around the impeccable blue waters of your own private swimming pool and the lush tropical planting of the garden. 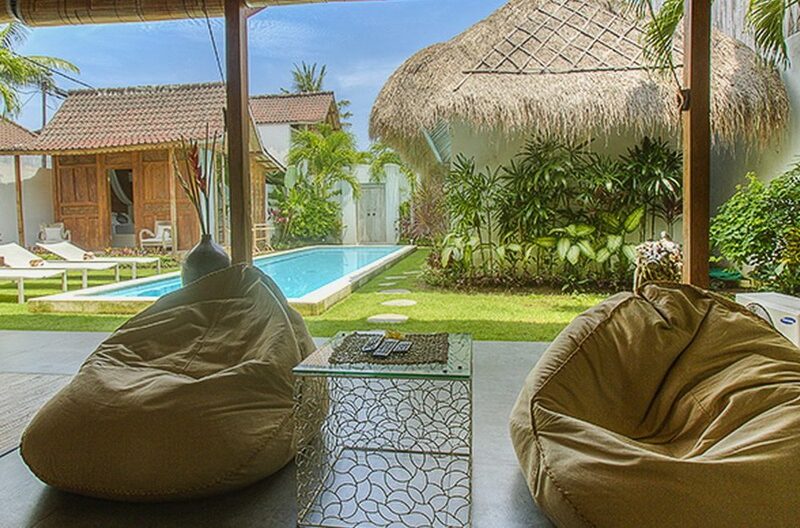 Luxury sun loungers are placed along one side so that you can soak up the balmy afternoons in picture-perfect comfort. 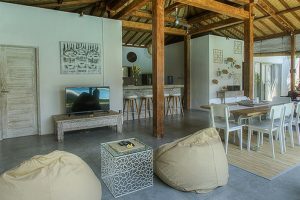 The living accommodation is contained in a voluminous Joglo with a high thatched roof, open to the glorious island elements on one side and facing the swimming pool. 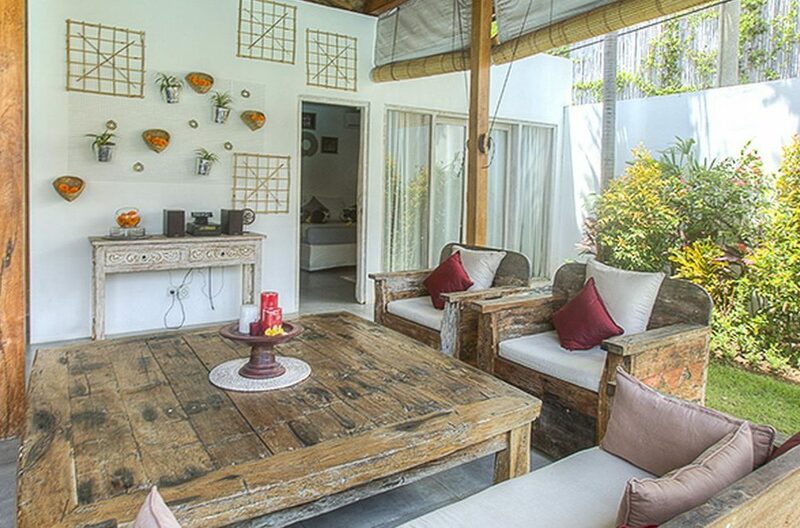 Predominately white in décor with stylish antique wooden furnishings, this is a paradise of texture and style. 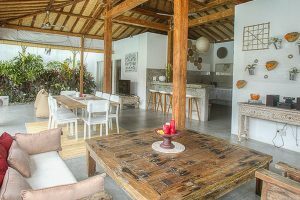 At the front, under the awning of the roof, is a luxurious seating area containing solid wooden sofa-chairs adorned with plush white cushions and sturdy coffee table. To one side of this is a generous dining table which comfortable seats eight people and on the other side is another table and chairs facing a TV. 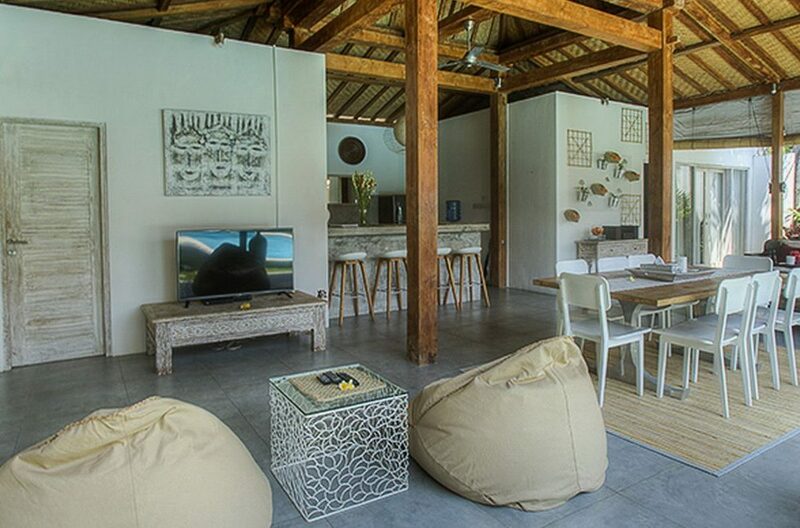 This is a cool, airy space which fosters a sense of relaxation and ease, just the place for spending time with your friends or family. 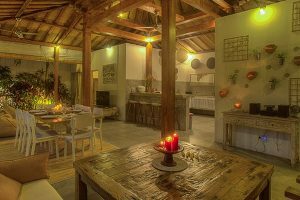 Your contemporary kitchen, located at the back of the Joglo, is equipped with everything you might need but with ‘Eat Street’ otherwise known as Oberoi, only a few minutes’ walk away, there is really no need to cook at all. 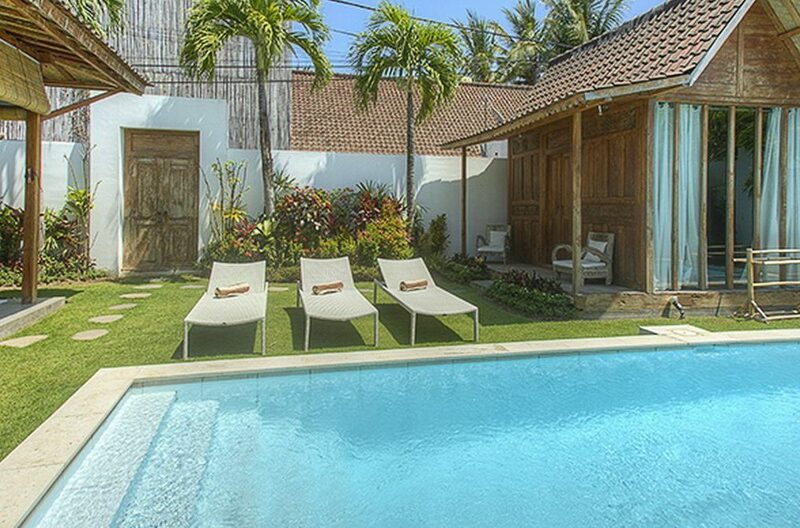 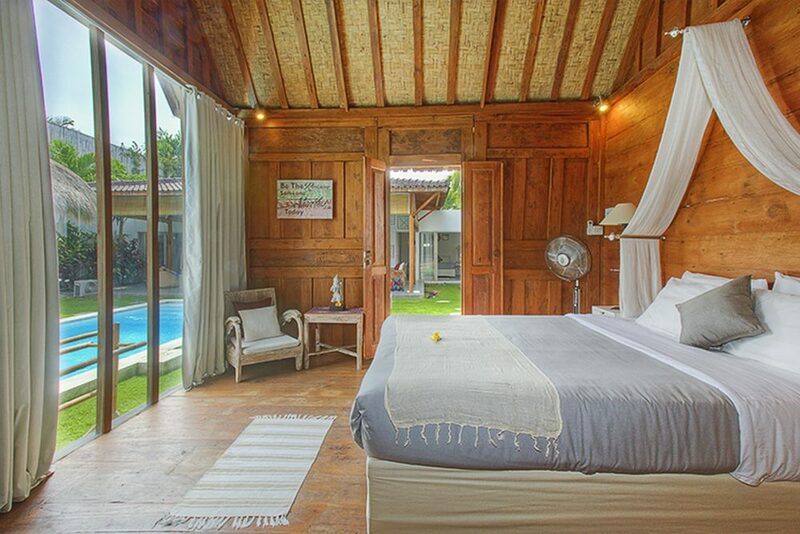 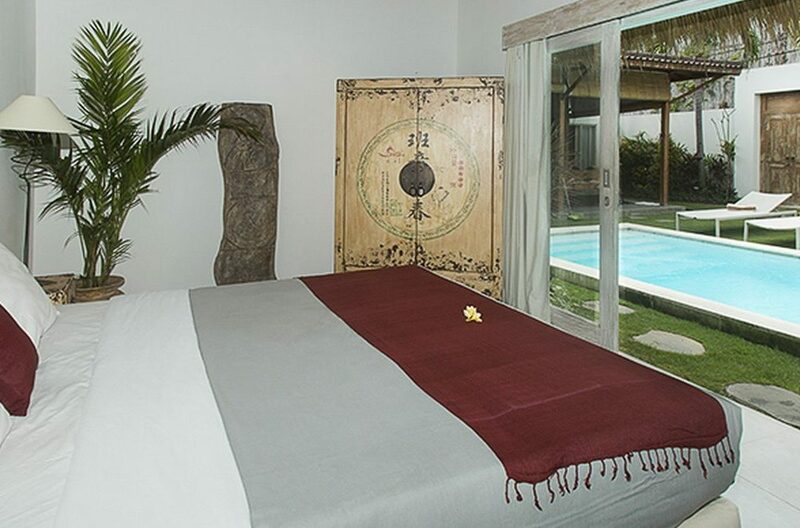 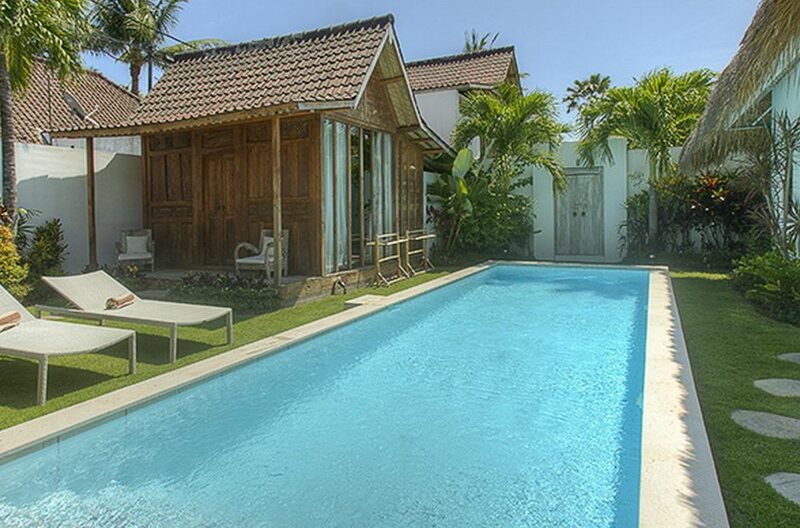 Two of the bedrooms are either side of the Joglo and face the idyllic view of the poolside. 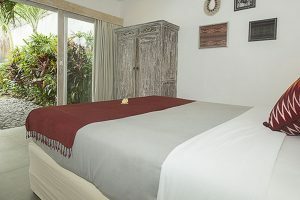 They are of a good size, fully air conditioned and are elegantly furnished in white with double beds. 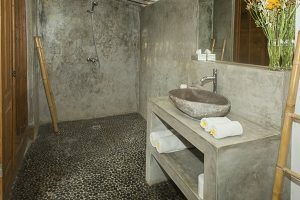 Both have their own modern ensuites. The enchanting master suite is housed in a Galdak, another traditional Javanese structure which forms a cocoon of teak panelled walls under a thatched roof. 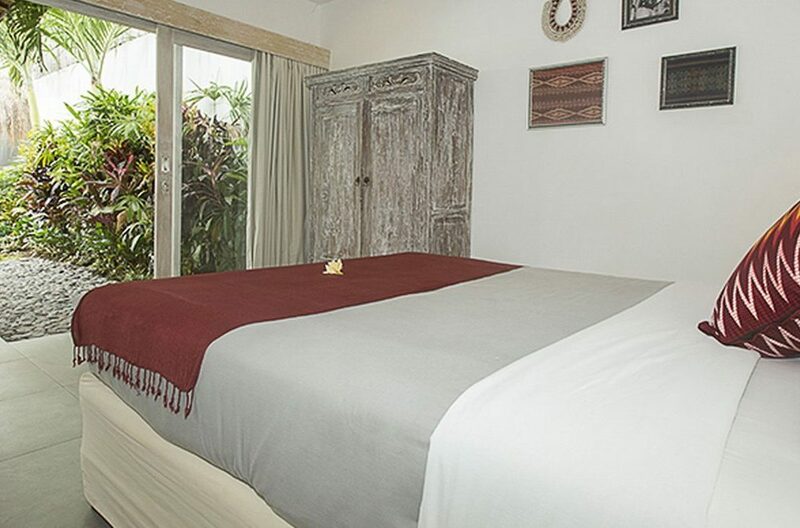 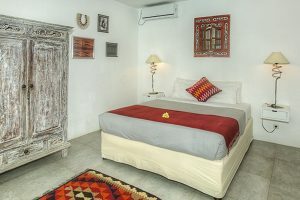 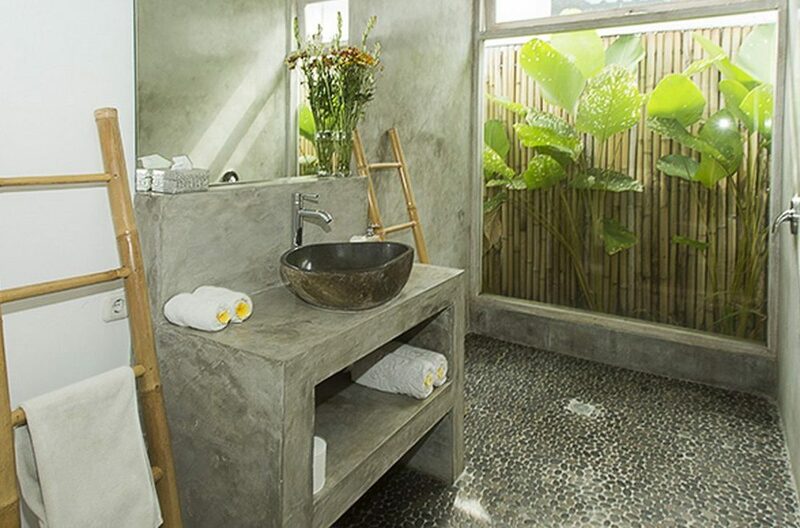 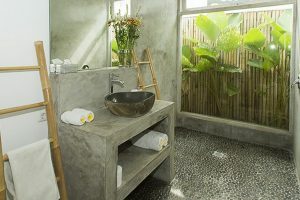 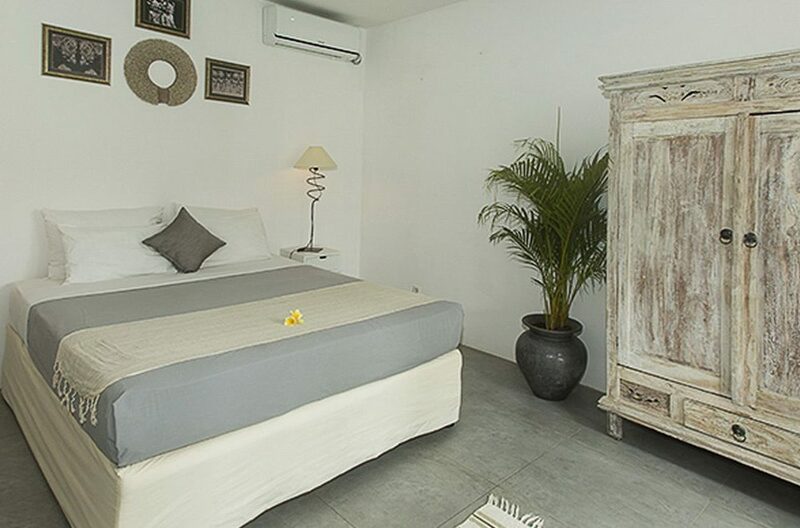 It is fully air conditioned and contains a double bed with cool, fresh, white linen, which effortlessly contrasts with all the natural materials used in its construction. 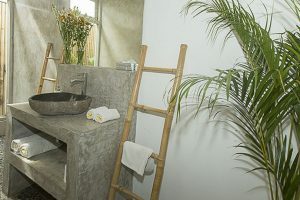 Also included is a beautifully designed ensuite. The fourth bedroom stands in another chalet with a high thatched roof and is furnished with an attractive canopy bed, is fully air conditioned and has garden views. 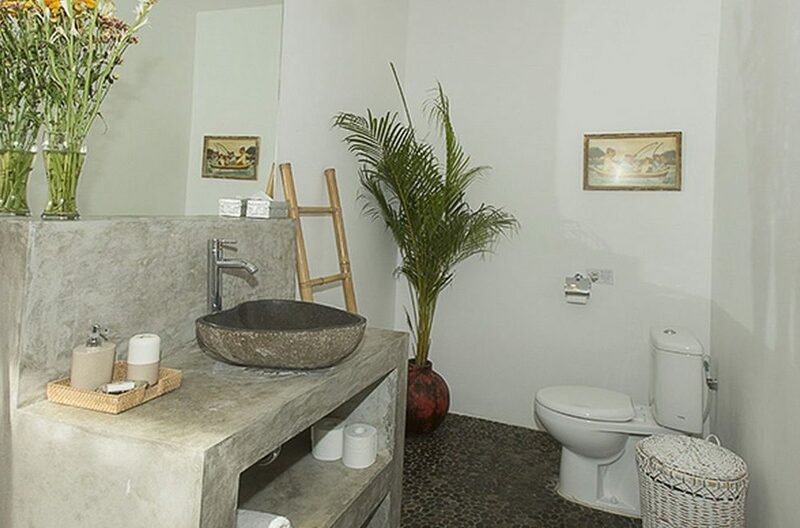 This too comes with its own ensuite. 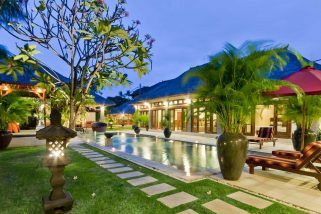 Villa Gladak is staffed by a full time maid and night time security. We also provide a mobile phone with a local number. 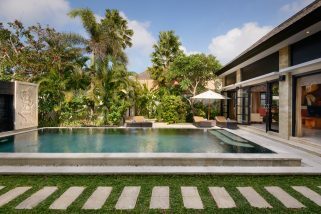 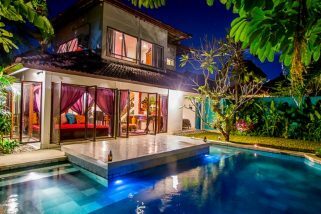 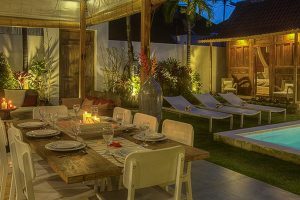 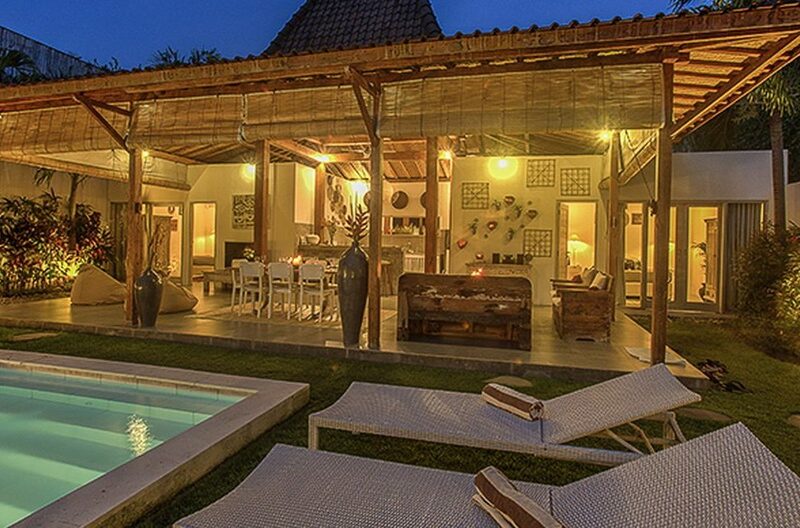 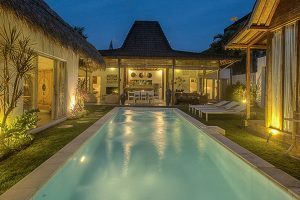 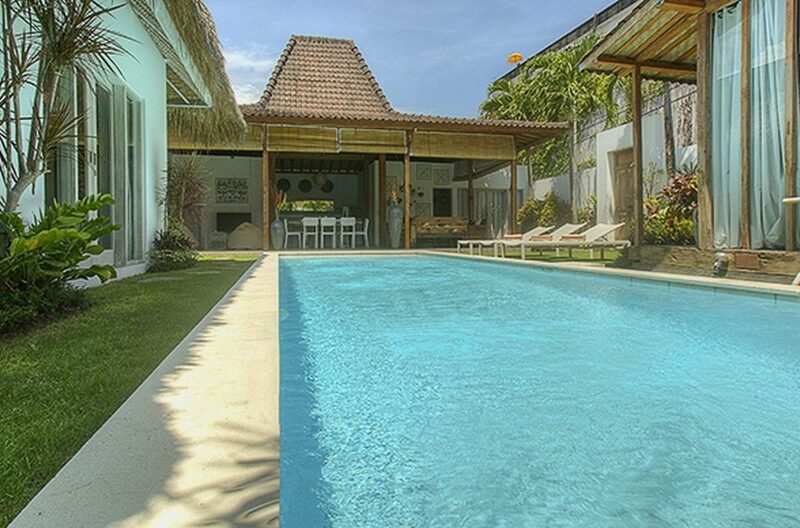 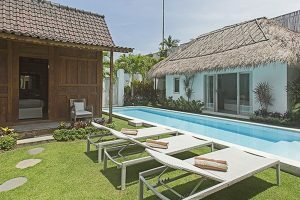 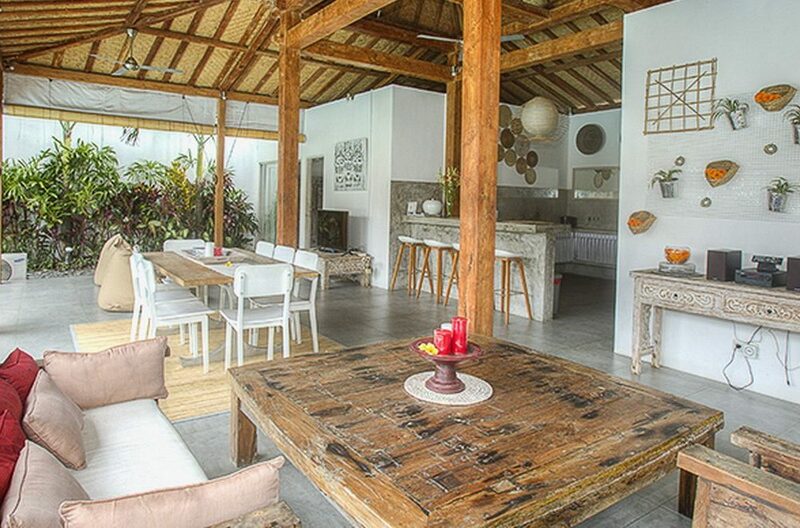 Villa Eshina I is a superb 3 bedroom Seminyak villa which encapsulates all the beauty of blissful Bali within its four walls.